Anchor Gardens Car Park01493 846358work Car ParkAnchor Gardens is a short stay car park on the seafront with 18 spaces and 1 space for the disabled. Charges apply at all times. 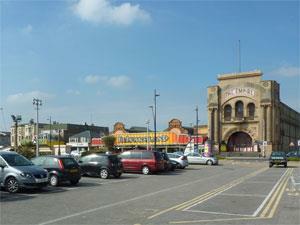 Anchor Gardens is a short stay car park on the seafront with 18 spaces and 1 space for the disabled. Charges apply at all times. Follow signs for the seafront. At the seafront, turn right at the mini-roundabout. Proceed along the seafront for approx 400 yards. Turn left into Anchor Gardens car park just after Anchor Gardens.